Tenacity pays off. 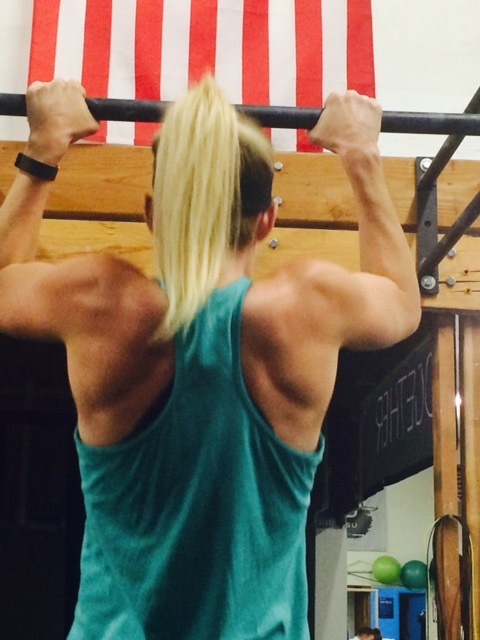 Corey consistently worked on her strict pull ups until finally one day, it just clicked. 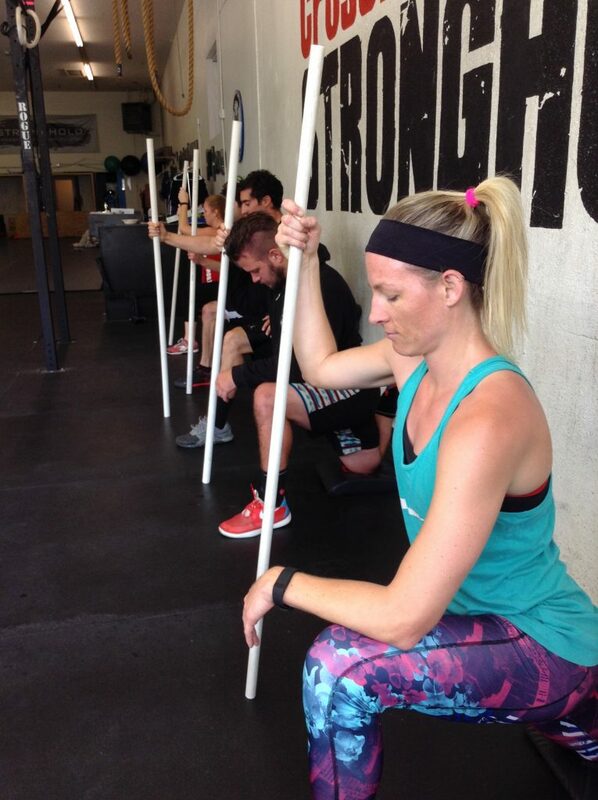 Ray and Dr. Corey (Physical Therapy) have logged COUNTLESS hours nerding out on movement and mobility. Corey has played a huge role in Ray’s development as a coach. The distinction of Athlete of the Month is typically awarded to the individual who has made the most noteworthy gains or has demonstrated the most extraordinary effort or has shown the most potential or [fill in the blank] over the last four week period. This month, we shift gears a bit and recognize a lady who has consistently demonstrated amazingness over the last four years. Corey Zimbelman is currently the longest standing member of our Stronghold family. She is also the founding member of the 7pm class. If anyone can speak on the evolution of Ray’s coaching and the gym as a whole, Corey certainly can. She’s seen the good, the bad, the ugly, and for some reason, she’s kept on coming, and always with a smile on her face. Corey works long days and while most people would easliy make excuses and go home, she always tries her hardest to get her workout in. She always brings with her a good attitude, a coachable spirit, and a positive energy. At the end of a long day, she’s a breath of fresh air to have in the gym. You can also always count on seeing her at every gym event. I could go on and on describing how wonderful Corey is. She is a pillar in our community and a loyal friend. Sadly, as she is closing in her four year anniversary with us, she is preparing to move to the Pacific Northwest. To say that she will be missed will be a horrific understatement. While we are excited with her on this new season of life, we dread the void that will certainly be felt without her gracing us with her presence each day. No matter where she goes, though, she’ll always be family.